As humans, we are members of the animal kingdom. As a species that questions scientifically, many people wonder how closely related we are to other life on our planet. It has been estimated that there are 14 million living species on earth, though only 1.8 million have been given scientific names. By using the Linnaean classification system, we are able to classify plants and animals and in turn learn more about our own biological evolution. Watch for homologies. When classifying plants and animals, scientists look for homologies, or common physical traits such as your arm and a bird's wing, that are inherited from a common ancestor. If the organisms share multiple homologies, they are likely related. Look for analogies. Unlike homologies, which evolve from a common ancestor, many organisms share traits for other reasons. For example, though birds and butterflies both have wings, the similarity is only superficial because their wings are very different beneath the surface. Determine the kingdom. The simplest step when classifying plants and animals is deciding what kingdom they belong in. An organism's kingdom is decided by how it eats and how it gets around. 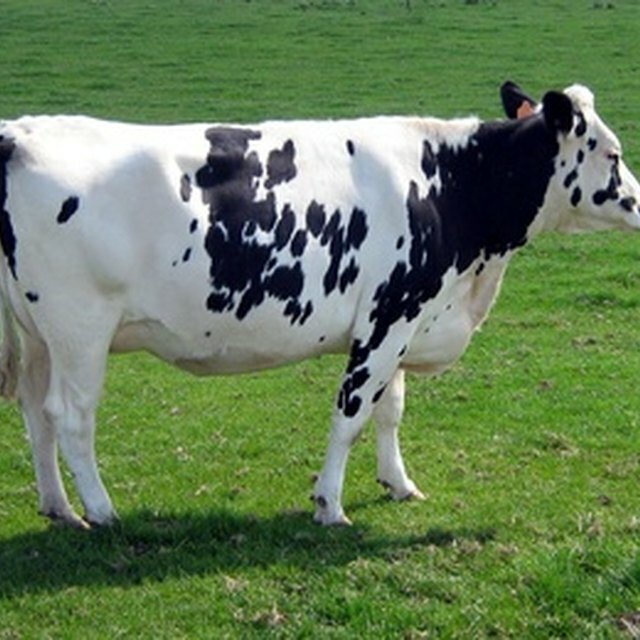 While animals, or Animalia, must eat other living creatures to survive and have the ability to move on their own, plants, or Plantae, produce their own food through photosynthesis and do not have the ability to move on their own. Classify plants. After you have placed the organism into the plant kingdom, the next step is to determine if the plant is a seed plant, which includes trees and flowers, or a nonseed plant, which includes algae, mosses and ferns. 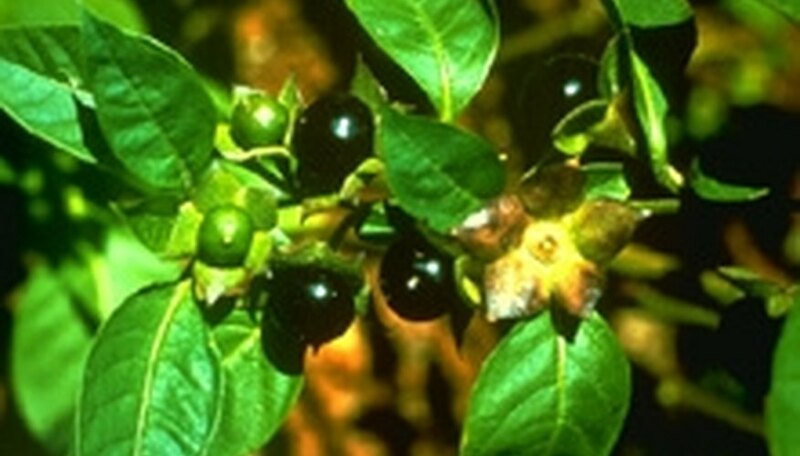 Seed-bearing plants can then be further classified into Gymnosperms, such as pine trees, which produce seeds in cones, and Angiosperms, such as roses, which produce seeds inside of their flowers. Classify animals. Once an organism has been assigned to the animal kingdom, the next step is to determine if it has a backbone. If the organism has a spine, it is known as a Vertabrata and then can be further separated by characteristics such as skin cover into fish, amphibians, reptiles, birds and mammals. 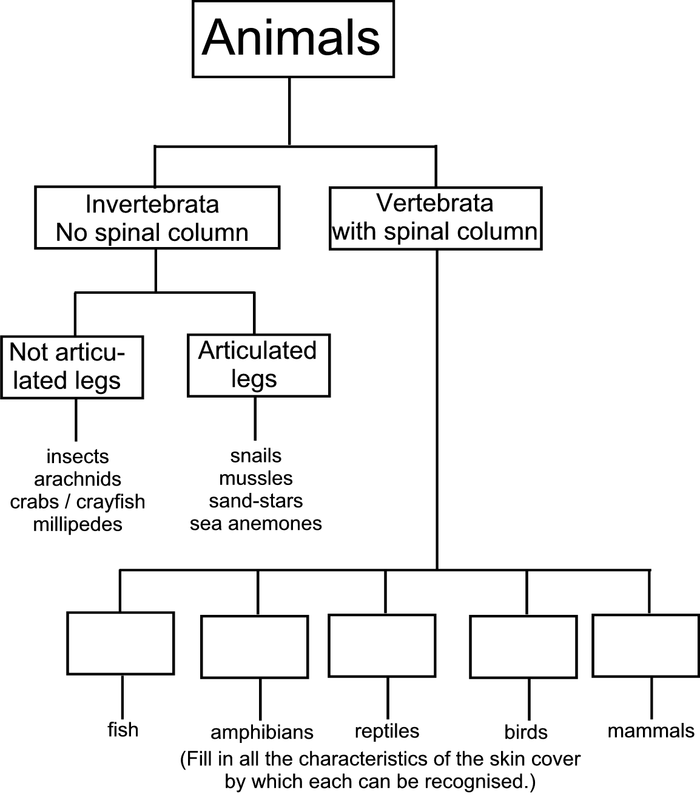 Organisms without a spine are known as Invertebrata and can be further separated into those with articulated legs, including arachnids and crabs, which have joints used for movement, and those without articulated legs, such as snails and sand stars, which do not have jointed legs. Some plants have seeds on the underside of their leaves. Your field guide can be very helpful during classification. Certain plants and animals can be dangerous and even deadly. Use caution while handling. Loquist, Jeff. "How to Classify Plants & Animals." Sciencing, https://sciencing.com/classify-plants-animals-5481004.html. 24 April 2017.